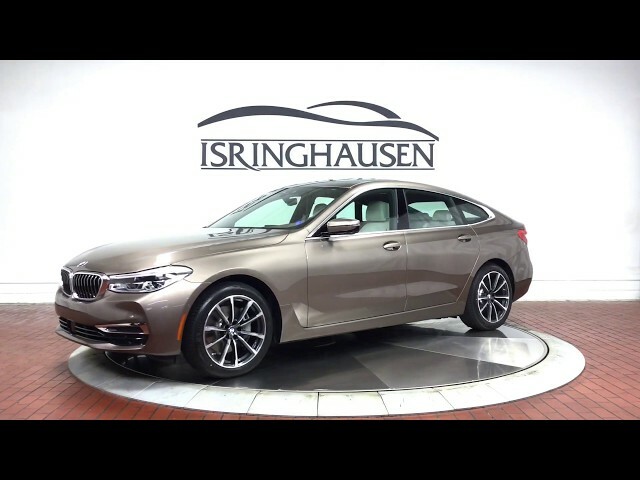 Save over $10,000 off the original MSRP of $80,360 on this lightly driven 2019 BMW 6-series Gran Turismo former courtesy vehicle. Factory options include Luxury Seating Package, Driving Assistance Plus Package, Premium Package, Heated Front & Rear Seats, Harman/Kardon Sound System, Soft-Close Automatic Doors, Luxury Line Trim and much more. Offering a combination of aesthetics, spaciousness and comfort, the 6-series Gran Turismo pioneers a new age of driving. Contact a BMW sales specialist today to take advantage of this excellent savings by calling 877-362-9715. Isringhausen Imports is Central Illinois' premier new car, used car and certified pre-owned (CPO) dealership for quality BMW, Porsche, Volvo and Mercedes-Benz vehicles. At Isringhausen Imports, we have become a leader in the industry by working each day towards the greater good of our customers, our fellow employees, and our community.